Easy-Click 60 funnel nozzle for flexible and pivot extraction arms, width 230 mm, height 100 mm. The Z adapter is required for mounting on an aluminium extraction arm without flexible suction hose. 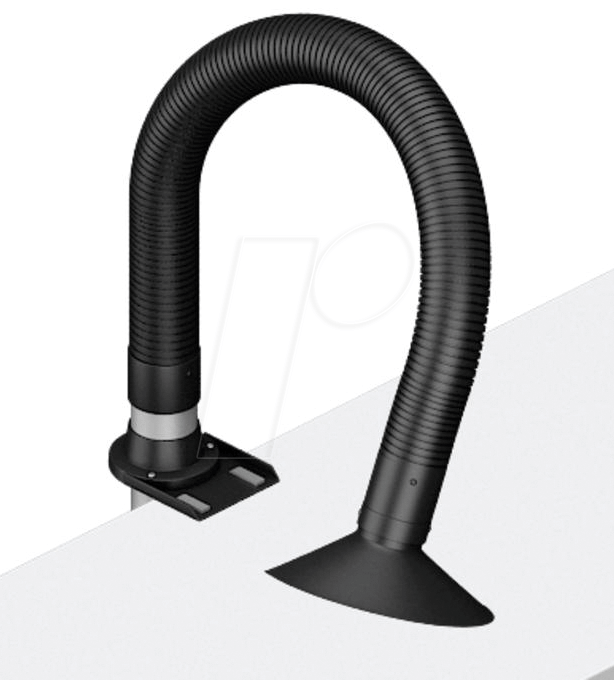 Easy-Click 60 flexible extraction arm for bevel and funnel nozzles Ø 60 mm, total length with fitting 1 m.